CH_ _ CH What’s Missing? I saw this on a church sign a while ago. And I like the message. The church is not complete without “U”! And likewise, a Christian’s life can never be complete apart from a healthy, Bible believing, church. They go hand in hand. And I am so glad you came today. God created people to live and function in community. He created the family with a father and mother to raise up and teach their children. He created tribes or clans of people who lived, worked, played, and worshiped together. And those tribes and clans formed the nations. Today we wanted to honor and thank a special group of people in our own community who serve and protect us. In John 15:13 Jesus said, “Greater love has no one than this, that someone lay down his life for his friends.” Our law enforcement, firefighters, EMTs and others have answered the call to live that out with their lives. And they deserve our love and support for doing that. It is not an easy life. They are not doing it for the pay or the benefits. Their families make sacrifices too when Dad or Mom is not able to be there for another birthday, a holiday, or to come watch a game. They love their neighbors and they show it every day. Worship God. Grow spiritually. Share the Gospel, your gifts, God’s love. The benefits of being part of a local church can be a wonderful thing. You can hear God’s Word, you can worship with other believers, you can grow in your faith, you can share your gifts with others. You will be in a place of healing and protection, you will find friends and community. Being connected to a church has many benefits, but just going to church – cannot save anyone. Going to McDonald’s doesn’t make you a cheeseburger, going to a garage doesn’t make you a car, and going to church doesn’t make you a Christian. That can only come through a personal relationship with Jesus Christ. Jesus Christ is the ultimate example of a hero. One who laid down His life for his friends and even for those who hated Him. The word “Gospel” literally mean Good News. Here it is in a nutshell. God created us to be with Him, but the very first people sinned – that means they chose to disobey God and go their own way. Ours sin separates all of us from a perfect Holy God. The Bible tells us that nothing we could do on our own, good deeds, giving to charities, even going to church cannot remove our sin. But God sent His Son, Jesus Christ to earth to die in our place, pay the price for our sins, and then He rose again from the dead. Everyone who trusts in Him alone has a restored relationship with God and has eternal life. That new life begins when you trust Jesus as your Savior and it lasts forever. 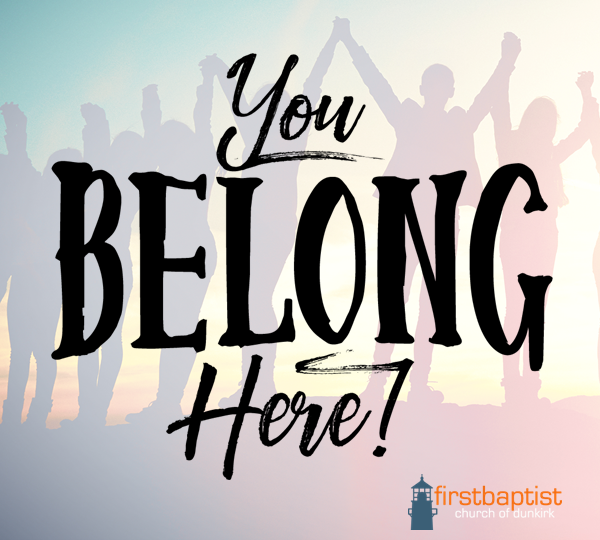 If you still have questions about who Jesus Christ is, why you should listen to Him, and why you need a relationship with Him… You belong here! Our church preaches, teaches, and seeks to live out the Word of God in our lives each and every day. This is a place where you can find community, find good friends, and a place where you can ask questions and get answers from God’s Word – our ultimate source of Truth. It is not about my opinions or what’s popular today. Our focus is always on the Word of God and on God’s Son, Jesus Christ.